A once thriving predominantly black town was destroyed on this site in 1923, and was rarely spoken of until 1982. 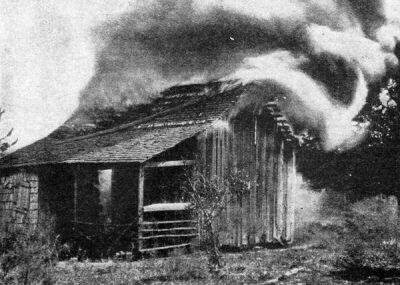 It was almost 60 years before survivors of the Rosewood Massacre started talking about what had happened. It was 70 years before justice was served. When a white woman in Sumner, Florida, accused a nameless black man of assaulting her on New Year’s Day, 1923, it sparked what would become a vicious, racially charged pogrom in the predominantly black town of Rosewood. A posse of white men quickly formed with the stated purpose of finding a recently escaped prisoner named Jesse Hunter, on whom blame for the assault fell. 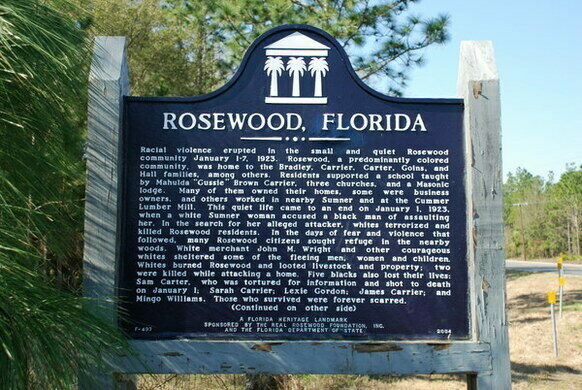 They believed he was being hidden in Rosewood, and started attacking the black residents there for information. One was lynched and another was dragged behind a car until he was close to death before the sheriff took him to safety many miles away. Over the course of a week, the mob grew into the hundreds, fueled by neighboring towns and a recent Ku Klux Klan rally. 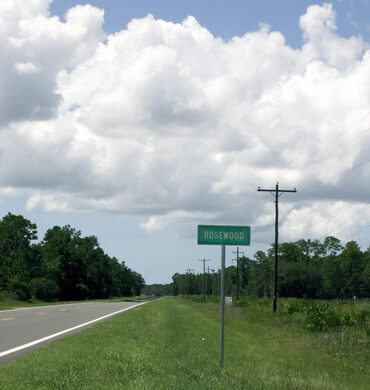 Women and children from Rosewood fled into the woods and swamps while the men tried to defend the town and their homes, notably Sylvester Carrier, who was specifically suspected of harboring Jesse Hunter. The official death toll was six black men and women and two white men. 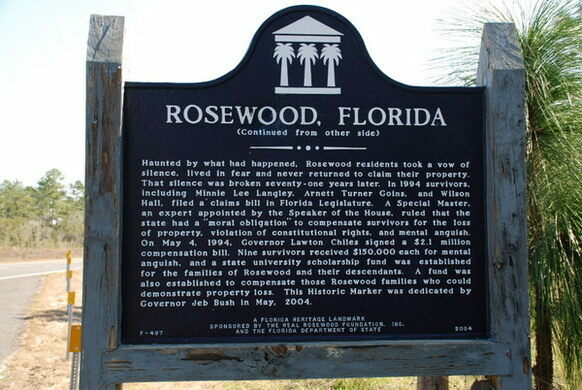 Rosewood was abandoned and the homes and other buildings burned down. Those who had escaped into the woods were eventually able to get on trains that took them to safety. Today it is believed that the death toll was much higher and that the woman who made the accusation, who really was bruised, was covering for a lover who was not her husband. Survivors mostly kept quiet about the massacre, out of fear, until 1982, when stories started to come out. At the time of the massacre, a grand jury found “insufficient evidence” to indict anyone, but in 1994, the state of Florida compensated the victims and their families for its failure to keep them safe. 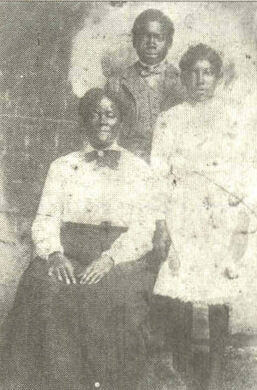 It was the first time in United States history that a state compensated victims of racial violence. A sign now marks the site on State Route 24 where Rosewood once stood.